Vista can't boot - Bootmgr is missing? The boot manager is required to start Windows Vista's operating system. If the boot manager or bootmgr is missing, the operating system will not be able to boot. The problem can be easily solved with the help of the Windows Vista Operating System installation CD. 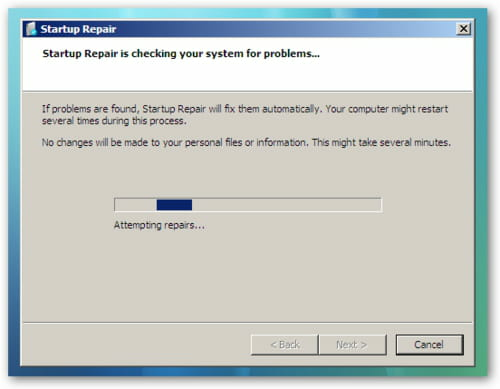 To repair Windows startup, the settings in the system BIOS must be changed to boot the system from the CD/DVD ROM drive. 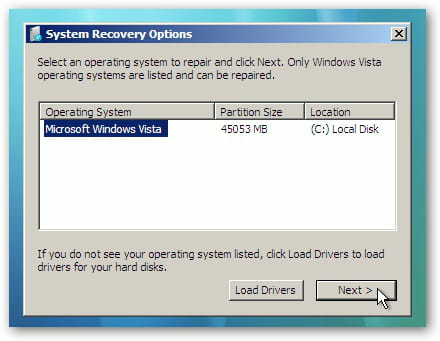 The Windows Vista installation disk will have to be inserted to repair Windows startup. The instructions in the CD need to be followed to solve the issue of the missing bootmgr. "BOOTMGR is missing, Press Ctrl+Alt+Del to restart"
You don't have to worry about is as this can be fixed very quickly. 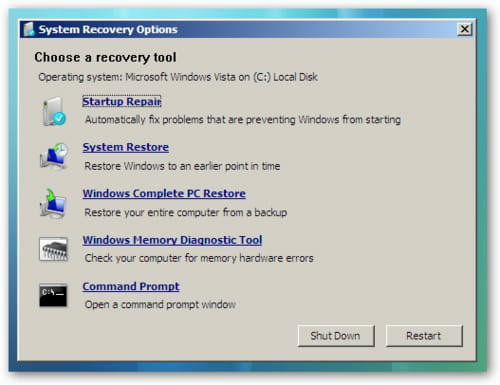 All you will need is a Windows Vista installation disc to repair Windows startup. Select the language, currency format and keyboard input, click "Next"
Select your installed Operating system, then click "Next"
This will take some time and you will then be asked to restart your computer! Published by netty5. Latest update on June 29, 2012 at 09:07 AM by Jean-François Pillou. This document, titled "Vista can't boot - Bootmgr is missing?," is available under the Creative Commons license. Any copy, reuse, or modification of the content should be sufficiently credited to CCM (https://ccm.net/).